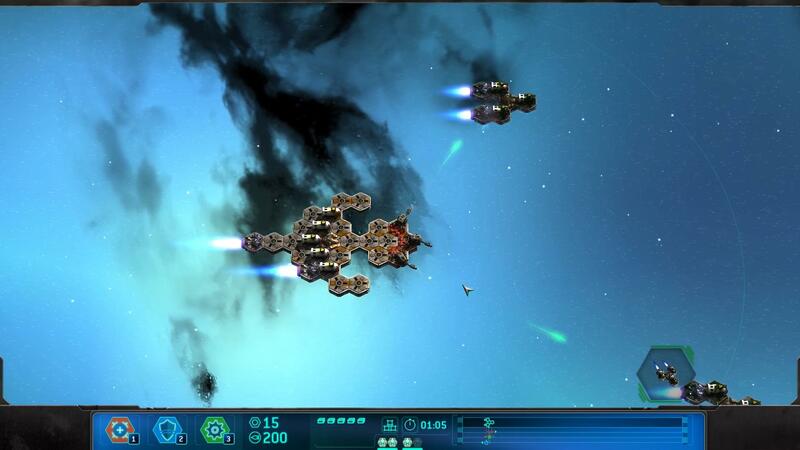 Space Run is a spaceship defense game in which your ship flies in a straight line while you place components over your ship — such as lasers, shields, missile launchers and so on — to protect your ship and cargo/passengers from asteroids, pirates, competitors and so on. The game is pretty fast paced, and eventually that becomes an issue as, for me, it became a bit too fast. A pause button would be pretty handy (unless there is one and I missed it). The game also has fairly funny writing and pleasant graphics, so check it out, and I hope you enjoy my review. Thanks for watching! I momentarily freaked when I saw this since I’ve been working on a set of sci-fi games that use hex components for unit construction. But, I now see that this is a radically different game from what I was intending. Looks like a fun spin on the tower defense game. I saw this at an afterwork event, it’s indeed impressive !